Boise Centre looks forward to hosting your event and welcoming you to our city. 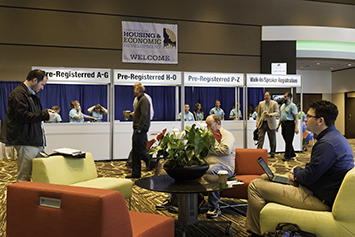 The convention center is located in downtown Boise just seven minutes from the airport with plentiful parking available for our guests at nearby parking garages. If traveling to Boise by air, most hotels offer complimentary airport shuttle service and public transit is readily available. While visiting Boise Centre enjoy free shared Wi-Fi and for your convenience, an ATM is located in the Main lobby. Stop by the Visitor Information Center for personal assistance with local guides, brochures, maps and other visitor information. Our staff and volunteers are happy to help you. With 234 days of sunshine a year, Boise has an activity for everyone to enjoy. The options are endless from museums, art galleries and golf courses to a 25-mile Greenbelt walking and biking path, which runs through the city. Don’t forget, skiing, white-water rafting and Idaho’s wine country are all within a short drive from Boise.